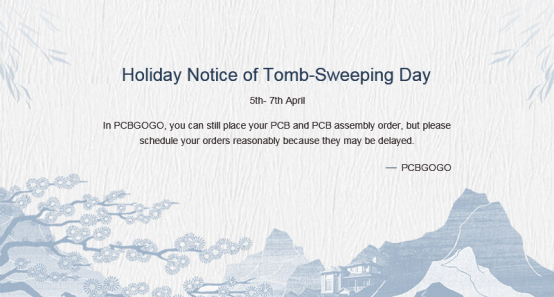 Tomb-Sweeping Day is coming, PCBGOGO will have a 3 days off during 5th April to 7th April. Our new and returning customers, sorry for the inconvenience. You can still place your PCB and PCB assembly order on our website (www.pcbgogo.com), please schedule your orders reasonably because they may be delayed. Tips: Tomb-Sweeping Day, also known as the Qingming or Ching Ming festival, is a traditional Chinese festival and an important day for us to sweep the tombs and commemorate the ancestors. How long will Tomb-Sweeping Day holiday last? The public holiday duration is 1 day, but it’s three days with Weekend. 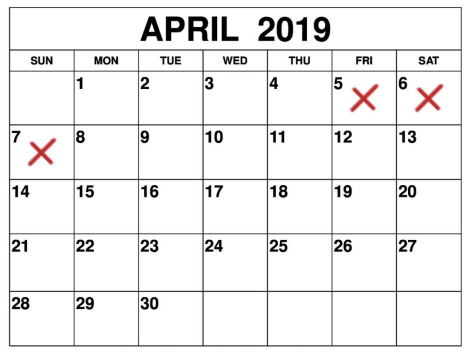 PCBGOGO holiday can be from 5th April to 7th April. If you have any questions, please feel free to contact us with service@pcbgogo.com, we will be happy to help you.